The story begins towards the end of the 1914-15 season, which was played while the country was at war with Germany. The Football Association’s decision to continue to play first class football despite the ongoing War had proved unpopular with much of the media and the population in general. A match played between Liverpool and Manchester United on 2 April 1915 was proved to have been fixed by a number of the players, and the result meant that Chelsea were relegated from the First Division at the end of the season. Also around this time, Blackpool had put forward a proposal to extend the Football League season and enlarge the First Division from 20 to 22 teams. However, before either of these seemingly unconnected events could be deliberated, the FA decided to suspend football with the War continuing to rage with little sign of abating. Following the cessation of hostilities in November 1918, talk of how football would resume for the 1919-20 season started where it had left off three years earlier. Blackpool’s proposal was resurrected and opinion was that this opportunity should be used to help Chelsea retain their position in the First Division, which they had been unfairly robbed of. However, there was no precedent for this and it would need to be debated at the Special General Meeting scheduled for 10 March. On every other occasion that the top flight had been extended previously, the bottom two teams had been invited to take part in an election along with any other teams from the Second Division who also wanted to be considered. This system was again used in 1919, and the clubs that were interested in being elected started their campaigning as early as January. Tottenham used southern-based newspaper The Sportsman as their mouthpiece whilst Arsenal aligned themselves with the Athletic News which was based in Manchester. Arsenal chairman Sir Henry Norris wrote a letter, which is held in the Arsenal Museum, to its very influential editor, Jimmy Catton, asking him to lobby on behalf of Arsenal. This proved to be a shrewd move as 34 of the 40 Football League teams were based north of Birmingham. 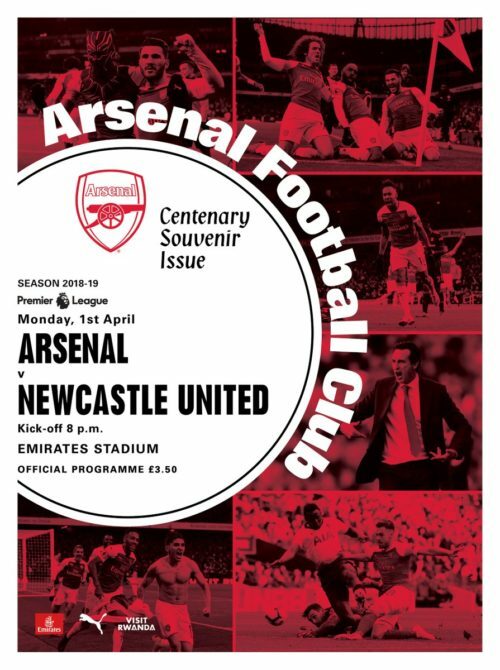 Norris’ main argument in favour of Arsenal was that they were the first southern team to play in the Football League, back in 1893, and had remained loyal to the League ever since. I know if I ask you to, you will consider this letter is a private one except in so far as you may be able to help the object. I have in view, that is if you think I have made out strong case for your help and kindly assistance if so I should be glad of not only your help but advice – if you are not with me then I would ask you to treat this letter as not having been written … Surely the oldest London League Club which has always loyally stood by the League – never been in the Southern League and always resisted its blandishments – and which only lost promotion by goal average the previous year is entitled to greater sympathy and consideration than Tottenham. (written 8 January 1919). On the day of the meeting, it was agreed to extend the First Division to 22 teams. Chelsea were elected unopposed, as expected, and Arsenal topped the poll of the other clubs, gaining 18 votes to Tottenham’s eight. It has been written that the Football League chairman, John McKenna, made a rousing speech in favour of Arsenal at the meeting but this was not reported in any newspaper at the time, even those that gave incredibly detailed accounts of the meeting. If he had made such a speech, it would have been big news. It has also been written that Norris had coerced the Football League management committee to hold a snap election at the meeting, but it’s very clear from reports at the time this had been planned well in advance by the committee, and every club was fully aware what was going to happen in advance of the meeting. Towards the end of the 1960s, unsubstantiated allegations of near-illegal tactics by Norris were made by Ralph Finn in his book “From Chapman to Mee”, which have subsequently snowballed into full blown accusations of bribery by Arsenal’s chairman in an effort to ensure his team regained their place in the First Division. No evidence has been found of inducements being offered by Norris, only conjecture, and it would be incredibly risky to approach as many as 17 other football club chairmen and hope that none of them would reveal such impropriety, especially as Norris had much to lose having been knighted for his work during the War. Perhaps the most telling indication of who provided the most influence towards Arsenal’s cause came in April 1930. At a lecture in Hornsey, Herbert Chapman introduced the guest speaker as “The man who got Arsenal into the First Division”. The speaker? Jimmy Catton. We did get in at Spurs’ expense. But we did it legally via lobbying the media. Yeah I know, but it would be funnier if it was nefarious. Make them even more cross about it! I don’t know, I think I prefer the idea we got up through some bent means or other at Tottenham’s expense. Funnier that way!